John Meaney and I on the summit of Pen y Fan, the highest point in Southern Britain, June 2017. Over the weekend I was delighted to hear that Revenger had won the Locus award for best YA novel. I'm extremely grateful to all who voted for it. This is my second Locus award (after last year's one for Slow Bullets) and it means an awful lot. years ahead, and enjoy the rest of the evening. I wish I could be there with you! Best wishes from Deepest Wales - Al. Earlier in the year I had a long and enjoyable conversation with Liza from Locus about the exact category of Revenger, be it YA or otherwise. Liza felt it was YA, whereas (and I'm well aware this will sound like tedious hair-splitting) I'm more inclined to consider it an otherwise standard novel by me that just happened to be a little more YA-approachable, in that I hoped it might be a book that I could have read in my early/mid teens, exactly at the point when I was getting into Niven, Delany, James White, A Bertram Chandler and so on. But at the same time, at least when I was writing it, the book felt as challenging from a compositional point of view as any of my other novels. 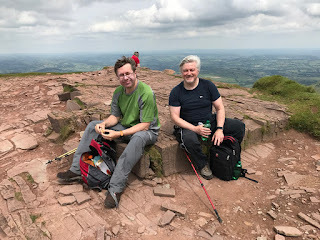 Where I did want it to mark a modest departure was in terms of concision and pace, in that I wanted to get into the thick of the action quickly and maintain a hectic momentum from that point onward. I also hoped to write a book that was somewhat shorter than its predecessors, drawing on the energy I felt I'd managed to tap into during the writing of the Doctor Who novel. Even so, it still managed to end up being 140,000 words long, which would have been considered a thick novel forty years ago. That wasn't just a one-off experiment for the purposes of Revenger, though, in that I also carried the same process through to the new Prefect novel, which - by the standards of the other book in the Revelation Space universe - is a relatively modest 160,000 words. Anyway, I mention all this not to quibble with Locus for their award, which is deeply appreciated, but to indicate that I'm not inclined to be too dogmatic about novel categories. If you enjoyed Revenger, I hope that you enjoyed it on its own terms, and if you haven't been persuaded to pick it up because the YA association is off-putting, you might want to give it a go nonetheless. It's mildly astonishing that this record is now twenty years old. I bought it, if not on the day it came out, then certainly at the first immediate opportunity, on CD, from a record shop in Noordwijk, the Netherlands, which no longer exists. I think I played it about six times that day. I still think it's remarkably good. What I find surprising is not the length of time that has passed since its release, because - really - quite a lot of things have happened in those two decades - but how fresh and modern it still sounds, how engaged and forward-looking. How bright and exciting and adult. It's been said before but with this record Radiohead threw down a gauntlet which was never really picked up, at least not by any acts of similar commercial reach. There was a lot of buzz around this record before it came out, a sense of keen anticipation. I think people instinctively knew that it was going to move the boundaries, and it did. I'd heard one track on a compilation CD some months previously, enough to whet the appetite - either Lucky or The Tourist, I can't remember which - but more than that I'd become a fan of the band via the first two albums, which I'd been exposed to via a home-made tape done for me by a friend. Yes, "tapes", they were a thing back then. Music critics sometimes speak of bands and artists having "imperial phases" - a relatively brief window in a longer career in which they're simply untouchable on all levels. 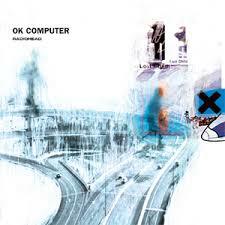 You could debate the inclusion of The Bends (it's very, very good) but for me this is the album that opened Radiohead's imperial phase, and it continued with Kid A and Amnesiac, both of which I regard as phenomenal, peerless records that define and bracket a particular moment in time around the millennium. Then came Hail to the Thief which I remember waiting for which great anticipation, and then not being quite so blown away as I'd hoped. After that came In Rainbows, which I greatly admired, and then The King of Limbs, which again I didn't rate quite so highly. Then, last year, they released A Moon Shaped Pool, which I think is fabulous. I mention these ups and downs not to belittle Radiohead, or suggest that they're past their best, but to reflect on their longevity and willingness to experiment, which I continue to find admirable and exciting. I must have written a great many thousands of words to their music over the last twenty years, so thanks, Thom, Johnny, Colin, Ed and Philip - and long may you run.